Recently, I was asked at a networking event about the practice of annual coil cleanings. An owner inquired if he should be having the mechanical contractor clean the evaporator and condenser coils at his multiple office buildings every year. My inclination was to simply say yes! Of course! However, in truth, there are some factors to be considered. Over time HVAC equipment will fall into differing levels of disrepair leading to energy waste and compromised comfort for a building’s occupants. The condenser and evaporator coils are, to a large extent, where much of the work gets done in an HVAC system. Maintaining these coils, and keeping them clean, is essential to efficient operation, but do they require cleaning every year? 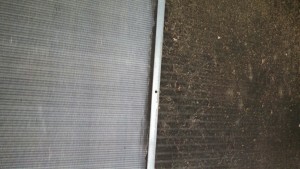 The condenser coil is exposed to unfiltered outdoor air, so it will accumulate dirt and debris at a fairly predictable and consistent rate from year to year. 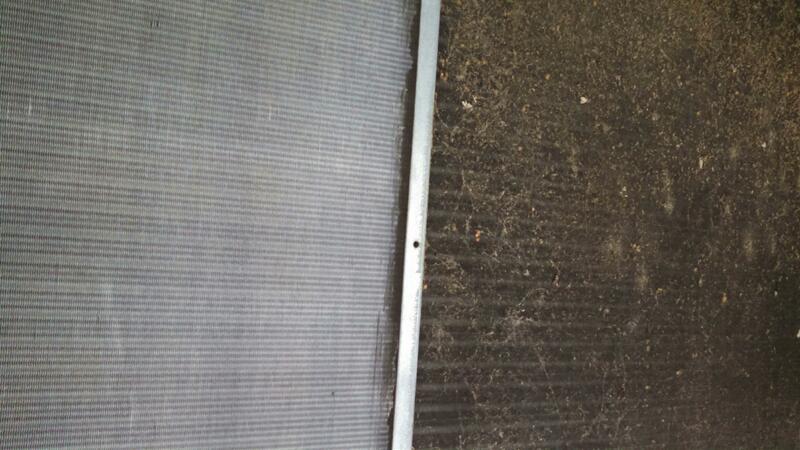 Because of this continued accumulation of dirt, annual cleaning of the condenser coils makes sense in almost all circumstances. Studies have shown that unmaintained condenser coils can decrease overall unit efficiency by 5% in 15 years and 30% in 20 years. Monitoring the cleaning and amount of dirt/debris that is removed, will quickly tell you if it is necessary to do it on an annual basis. The evaporator coil is quite a bit different. Because the evaporator coil is only exposed to filtered indoor air (in most situations), the rate of dirt and debris build-up is far slower; however, the impact on efficiency and operation can be significant. An evaporator coil that is compromised by dirt and debris will inhibit both air flow and heat transfer causing a substantial reduction in temperature control and overall efficiency. In most situations, coil cleaning is not required annually if filters are replaced regularly. It is recommended that the coils be inspected and the results logged annually to determine the most effective schedule for cleaning. Those in favor of annual evaporator cleanings (on packaged rooftop units) suggest that as long as all of the coil cleaning labor and materials are already present for condenser cleaning, then it stands to reason that the evaporator coils should be cleaned as well. If cost is not a factor, then there is no real downside to an annual evaporator cleaning schedule. Regardless of the schedule you settle on for your equipment, keeping your coils clean is essential to the operation of your systems to maintain optimal efficiency, as well as to keep the overall comfort of the building’s occupants.